Under new ownership, The South Island Hospitality show provides the best opportunity to showcase, educate, and sell your products and services to the South Island’s hospitality sector. The Australian Department of Veterans’ Affairs (DVA) is urging businesses to respect the traditional recipe of Anzac biscuits or pay the consequences. Businesses could be hit with fines of up to $A51,000, with individual sellers facing penalties of $A10,200 under the Crimes Act 1914, for changing the recipe and selling the product as an Anzac biscuit. Veterans’ Affairs say the biscuits must not be referred to as cookies or any other term and cannot include ingredients that alter the traditional biscuit such as egg, chocolate chips or almonds. Businesses must obtain a permit from DVA to sell products that include the word Anzac. Anzac biscuits were sent to soldiers during World War I and were dubbed as a nutritional foodstuff able to last for more than two months without refrigeration. The post $50,000 fine for messing with Anzac bicscuit recipe appeared first on Hospitality Business. In 2019 more New Zealanders are eating dinner in front of the TV; cook for need not pleasure, and rate convenience, variety and healthy options highly, according to a survey undertaken for Uber Eats. It could be a sign of busy times and lives – and these are just some of the findings from the Empirica Research report to find out ‘how Kiwis are eating’. A survey of 500 New Zealanders of all ages and regions found that 15 per cent of those surveyed ate out at a restaurant weekly and 29 per cent opted for a takeaway weekly. Seven per cent said they order food to be delivered via an app or online service weekly. In fact, 70 percent of New Zealanders eat dinner in front of the TV at least once a week and 35 per cent do so daily. Interestingly this behaviour was overall more common among older New Zealanders, with almost half (46%) of those aged 55 and older reporting that they do this daily, compared to only 25% of those aged 18-34. The report also reveals 41 per cent of New Zealanders don’t enjoy cooking at home. In fact, only half of those surveyed say they cook at home everyday. Furthermore, 56% reported “dreading” preparing at least one meal – while dinner was the most commonly dreaded single meal to cook (37%). A large number of people are simply skipping meals with 49% skipping breakfast at least once per week, 39% missing lunch and 8% forgoing dinner at least once weekly.However, it’s clear from the survey that convenience is king for hungry Kiwis and changing food habits reflect this. Over a quarter of New Zealanders (29%) bring home takeaway food weekly, while 6% order food to be delivered direct from a restaurant and 7% order food to be delivered via an app or other online service on a weekly basis. Food delivery is becoming more commonplace in New Zealand. Half (51%) of all Kiwis see delivery as a normal thing to do in 2019. Simplicity is often a defining factor for Kiwis deciding to order in. More than a third (37%) said it was easier to have food delivered to their front door than cook their own meal. And what are Kiwis getting delivered? Pizza reigns supreme with 75% of those surveyed saying they’ve ordered it in. Other popular options include fast food restaurants (26%), Indian (25%) and Chinese (24%). Uber Eats County Manager Andy Bowie says it’s clear the way Kiwis are eating is changing with the times. “As people get busier and more dining options open up, people are starting to move away from the kitchen to make the most of their free time while enjoying a wide range of different foods throughout the week. With variety comes more healthy options, which is good for the 45% of New Zealanders who choose foods based on their health credentials. One in 10 Kiwis surveyed (10%) say they tend to eat healthier when they order food delivery via an app compared to when they cook. On the flip side, Kiwis do love to indulge from time to time. “Cheat meals” is something around a third of New Zealanders (32%) do at least weekly. Uber Eats is available in Auckland, Tauranga, Wellington, Hamilton, Christchurch and Dunedin. There are now more than 1,500 restaurants on the Uber Eats app across the country, offering a wide range of different foods for Kiwi consumers to try. The 80s was when then boom in restaurant openings begun and has continued ever since then. Restaurants and hospitality venues have been opening steadily over the past few years, Restaurant Association reports show. The second pivot in how New Zealand consumer food came around four years ago, and morphed into the new norm when Uber launched its food platform Uber Eats in early 2017. Other findings from the report show less than one third of New Zealanders regularly read nutritional labels and 15 per cent of people never pack food from home for lunch. Most people surveyed said they preferred to dine out in small groups. The post Swapping the apron for the smartphone appeared first on Hospitality Business. Family Chair Paul Donaldson of Pegasus Bay says the dinners are a celebration of kiwi excellence and one special wine from each family member will be served at each dinner. The Family of Twelve was established in 2005 to share a dedication to kiwi excellence in wine. The twelve wineries represent eight regions and is export and education focussed. “We have worked together in London, Hong Kong, New York and Europe but more recently we’ve concentrated on our home base offering educational and dining events throughout New Zealand. We’re in the midst of planning our second annual Wine Tutorial, a unique event at which the Family pass on their knowledge to just twelve very fortunate members of the NZ and international wine trade, “ says Donaldson. The post Winter Feast Tour returns for 2019 appeared first on Hospitality Business. InterContinental Shenzhen, Shenzhen Telecom and Huawei have signed a strategic cooperation agreement to create the world’s first 5G smart hotel. By introducing the hotel industry’s first end-to-end 5G network with integrated terminals and cloud applications, the project will enable InterContinental Shenzhen to provide guests with the ultimate innovative luxury experience and open the door for the digital transformation of the entire hotel industry through 5G technology. Shenzhen Telecom is deploying Huawei’s 5G network equipment in the InterContinental Shenzhen to achieve continuous indoor and outdoor 5G coverage, which will serve as the platform for a new generation of hotel services. Guests will experience innovative 5G hotel applications through 5G smartphones and customer-premises equipment (CPE) terminals, including 5G welcome robots, 5G cloud computing terminals, 5G cloud games and 5G cloud virtual reality (VR) rowing machines, providing business travellers with a convenient and efficient working environment, and leisure travellers with a high-end, immersive entertainment experience. For the project’s kick-off ceremony, Shenzhen Telecom and Huawei jointly deployed a 5G Digital Indoor System on the hotel’s first floor and in the presidential suites. In the hotel lobby, guests can access the 5G network through CPEs or their smartphones to experience high speed 5G downloads and uploads. Service efficiency is improved with 5G intelligent robots that provide services including guest information, destination guidance, and goods delivery. The presidential suites covered by the new network provide guests with 5G hotel services such as cloud VR rowing machines, cloud games and 4K movies. An experience zone that was built for today’s ceremony featured the world’s fastest mobile download rate and uniquely versatile telecommunications and entertainment guest experience. The post 5G robots to manage hotels appeared first on Hospitality Business. Doughnut lovers are in for a trip down memory lane as Krispy Kreme New Zealand launches Throwback Party, a limited-edition doughnut range inspired by our favourite flavours of the past, on sale now until Monday 29 May 2019. Cookie Dough’s Krispy Kart – Fans can get behind the wheel go-kart-style and race their way through rolls of dough. Finger Bun Fighter – Players will hit the virtual streets and kick their way through the icing. Fairy Bread Fantasy – Gamers can live out their childhood fantasy in this magical platform game. Choc Brownie Batter Bash – This puzzle game will have fans smashing their way through chunks of chocolate. The virtual game arcade will be playable through mini-games on Krispy Kreme New Zealand’s Instagram stories, where users will be prompted to swipe up to play. Top scores will be displayed on an online leaderboard where fans can compete to win prizes, the major prize being the chance to win a year’s supply of Krispy Kreme doughnuts!*. Throwback Party is available in-store for a limited time only at Krispy Kreme’s Manukau, Chancery and Auckland Domestic Airport stores and will be available to order via Uber Eats. The post Retro themed virtual doughnuts? appeared first on Hospitality Business. Spark Sport has confirmed that commercial passes for viewing the Rugby World Cup 2019 will go on sale from early May. According to Spark Sport and Hospitality New Zealand the commercial packages will be offered at consumer pricing, with an early bird discount being offered throughout the month of May. Spark Sport has also confirmed that 12 matches will be available free to air via TVNZ during the Rugby World Cup this year (a full list of which can be found below), and that a contingency agreement has been reached with TVNZ that means there will be a “back-up” plan for viewing the games in case of any unexpected technical issues. Spark Sport Rugby World Cup 2019 tournament passes to go on sale in early May, opening with a “super early bird” price of $59.99, available during the month of May. Tournament passes provide live and on demand access to all 48 matches in the tournament, on a wide range of devices. 12 matches will be available for free with TVNZ and for Spark Sport free-to-view account holders, including every New Zealand pool and knock-out match, some live and some delayed; a further two matches will be free on Spark Sport. Spark Sport has a back-up TV arrangement in place with TVNZ as contingency in case of a significant issue. Hospitality businesses wanting to show the matches should make sure they set their premises up with a high-quality, unlimited data broadband connection (ideally a fibre connection, according to Spark Sport). To do this, you can contact your internet service provider to make sure your internet connection is ready for streaming in high definition. You should also be aware that, if necessary, an upgrade to fibre may take time to organise. According to Spark Sport, hospitality businesses wishing to show the games on a single screen can do so through the available consumer devices for streaming Spark Sport. For set up in a commercial venue, you may need to get the advice of an audio visual (AV) technician, who should be able to suggest the best way for you to connect. ”Super early bird” Rugby World Cup tournament pass available during the month of May at $59.99. ”Early bird” tournament passes available from June until early September at $79.99. Rugby World Cup tournament pass available from early September up until tournament kick off at $89.99. This article originally appeared on Hospitality News Zealand’s website, www.hospitality.org.nz. The post Commercial packages available for rugby world cup coverage appeared first on Hospitality Business. Wellington’s Wooden Spoon Boutique Freezery has taken top honours in the third annual Outstanding NZ Food Producer Awards, being named Supreme Champion. They also won Emerson’s Dairy Champion at the awards in Auckland on Tuesday April 16th. The company received the awards for their Blackcurrant Crunch ice cream. Founders Sharon Galeon and Midori Willoughby say the creation of Blackcurrant Crunch was the result of a happy confluence of events. 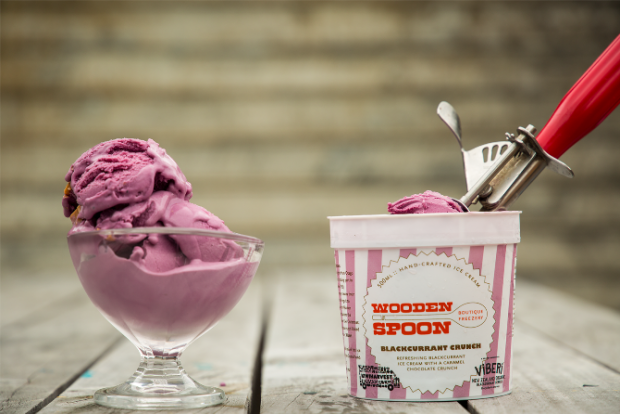 A group of Otago Girls High School students asked the Wooden Spoon Boutique Freezery if they could help create a new flavour for their Young Enterprise Scheme called Spoon Me, and then coincidentally the team from ViBERi Organic Blackcurrants got in touch. This serendipitous set of events led to the creation of the pretty purple ice cream which the judges praised for its crunch and fruity flavour. Wooden Spoon was founded by the pair in Wellington in 2011. They specialise in small batch, hand-crafted ice cream made with quality ingredients. Their flavours are inspired by memories from their childhood, adventures to new places and local New Zealand treasures. Wooden Spoon has a history with the Outstanding NZ Food Producer Awards having won awards every year. In 2018, they received a Gold Medal for Ca Phe Da and a Silver Medal for their Chocolate-Covered Banana. The previous year they were a runner-up in the dairy category with their Movie Night Ice Cream. For the third year, well-known New Zealand food writer and champion for locally-grown and made food products, Lauraine Jacobs was head judge. She oversaw a panel of 20 judges who assessed more than 180 food and drinks during judging at AUT School of Hospitality & Tourism in March. Kathie thanked the talented team of food professionals who gave their time and taste buds to judge the 2019 awards. Led by Lauraine Jacobs, the judging panel was; specialist sustainability judge Emily Smith as well as Enzo Bettio, Kathy Paterson, Mat McLean, Mikey Newlands, Andy Aitken, Richard Emerson, Aaron Pooch, James Thomas, Lucy Corry, Tamara Rubanowski, Allyson Gofton, Kimberley Dixon, Anna King Shahab, Amanda Thompson, Hayley McLarin, Janene Draper, Lorna Subritzky, and Michelle Jones. The post Awards celebrate Outstanding Food Producers appeared first on Hospitality Business. 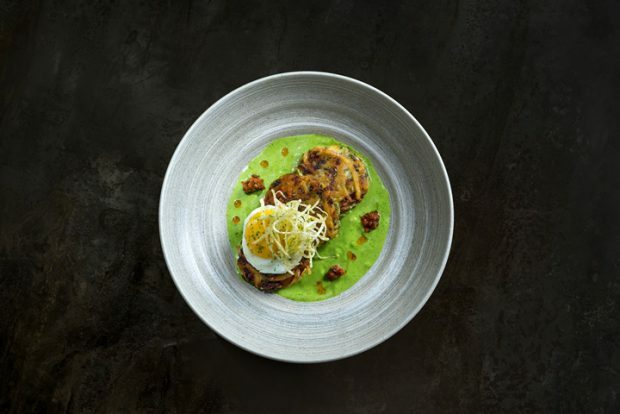 Ōtepoti cuisine and drink take centre stage during Dine Dunedin from Friday 21 June until Sunday 7 July 2019. Over 16 days Dunedin chefs, producers and restaurants will celebrate their culinary culture with a series of special dinners, tastings and dining deals. Local and critical acclaimed favourites; Emerson’s Brewery, Moiety, Glenfalloch, Vault 21, Prohibition Smokehouse and New New New are creating special events, as will students from the Otago Polytechnic School of Culinary Arts. Dunedin food producers Ocho Chocolate and Harraways are also creating exclusive tastings with Ocho developing a special craft chocolate, wine and whisky tasting class and Harraways organising a Oat Breakfast. More events are being confirmed weekly. New New New is partnering with North Otago favourite, Riverstone Kitchen for the opening night of Dine Dunedin on Friday 21 June. Riverstone Kitchen chef, restauranteur and author of three cookbooks, Bevan Smith and his team will ‘pop-up’ at New New New brewery for one evening only offering a selection of their favourite winter dishes designed to match the amber beverages of New New New Corporation. Emerson’s Brewery is hosting an Outstanding Winner Dinner on Wednesday 26 June. Emerson’s Chef Andy Aitken, who was a judge for the 2019 Outstanding NZ Food Producer Awards, will create a special four-course menu showcasing Champions and medal winning produce from the Awards. His special dishes will be matched to Emerson’s craft beer. Locals and visitors to Dunedin will be encouraged to get involved, with a popular vote for their Favourite Dine Dunedin Restaurant Dish, Favourite Dine Dunedin Cafe Dish , Favourite Dine Dunedin Drink and in tribute to a southern classic, their Favourite Dine Dunedin Cheese Roll. Dine Dunedin organiser Nicola McConnell said this is the first year of what is hoped will become an annual event. She paid tribute to event sponsors The Breeze Dunedin and My Little Local. All events will be listed on the website which will be live from Wednesday 1 May. Events and info is also on Facebook. The post Dinner dates for Dine Dunedin 2019 announced appeared first on Hospitality Business. There’s a new food truck in Auckland that’s turning heads, owned by two super talented chefs with a passion to serve fast, delicious burgers from their blue and timber panelled 80s caravan and do good in the process. Owners Josh Barlow and Brody Jenkins (executive chef at The Sugar Club and head chef at Little Easy, Ponsonby), give ‘work hard, play hard’ a new benchmark. As moonlighters, they produce well executed burger classics made from local, fresh, sustainable ingredients to the outdoor dining public and private events around Auckland. This is about more than great burgers though. Jo Bro’s cares for the environment and the people within it and shouts out to farmers and growers and those within their own industry, using the caravan as a platform. These Bros want to get people thinking about the positive impact that choosing sustainable local produce has on our world around us. Jo Bro’s also collaborates with All Good, a not-for-profit group focused on improving the mental health of workers in the hospitality space. “Mental health is a hot topic for our industry right now and we want to do all we can to address the negative points of working in a kitchen and keep making noise until things change,” Brody says. Back to those burgers: Jo Bro’s had a sell-out at Whangaparaoa recently, smashing its fourth event with 190 seriously good burgers leaving the truck dripping with great juices and good times. The Boys are well pleased. Josh and Brody met working in the kitchen at Grove Restaurant in Auckland. Josh had recently returned after seven years in London, working in several Michelin-star restaurants and Brody spent eight years with SkyCity’s signature restaurants and getting Andy’s Burgers & Bar off the ground. The post Jo Bro’s Burgers – Eat good, feel good, do good appeared first on Hospitality Business. Burger King is considering options to bring its meat-free ‘impossible whopper’ to the UK following a successful trial of the vegan option. The offering was originally launched as a trial in St Louis, Missouri. The meatless burger, designed by Californian company Impossible Foods, uses genetically modified yeast to create heme – a molecule strongly present in meat – which is then added to their vegan product to make it more similar to meat. However, following a successful first phase, the meatless burger is expected to spread across Burger King sites – including the UK where the firm is exploring its options with regards to a similar offering. Advancements in vegetarian and vegan faux-meats, along with growing concerns regarding the ethical and environmental impact of meat consumption, have led to more large-scale operators bringing vegan elements to their offering. Last year grab and go chain Leon launched its LOVe burger, with a soya beetroot base, while Greggs launched its vegan sausage roll – leading to a sharp increase in sales. The post UK: Burger King considers meat-free ‘impossible whopper’ appeared first on Hospitality Business.